Class Set includes 600 units, 200 rods, 20 flats, 3 cubes, 96-page book in box. 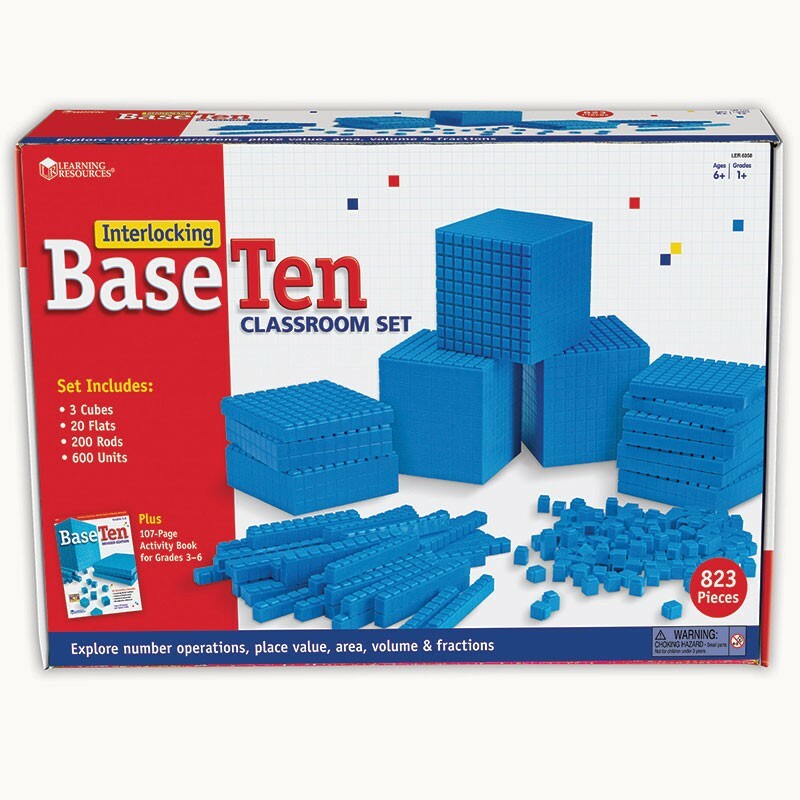 This unique set of Base Ten components conveniently interlocks to teach math concepts, value and grouping while enabling students to easily manipulate and visualize varying quantities. Older students can explore spatial relationships and volume.